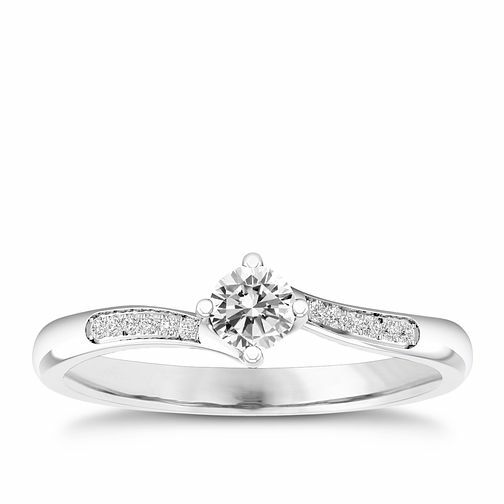 An elegant engagement ring that features a sparkling centre stone that is embellished with diamonds set into the shoulders, with a beautiful twist in the metalwork that marks it with a more delicate sense of style. Follow the story of where your diamond came from with a unique birth certificate that is included in your purchase. 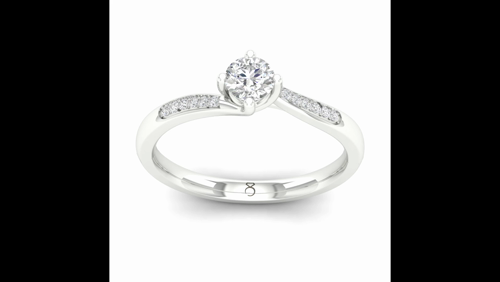 The total diamond weight of all stones combined is 1/5ct.